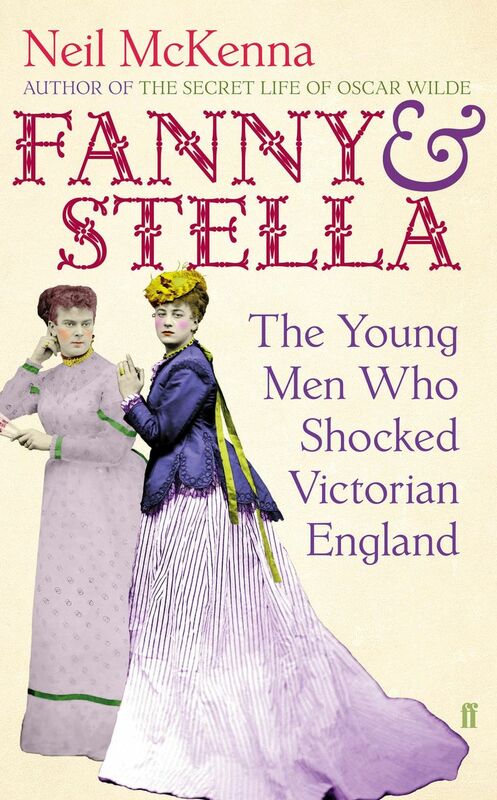 There is a new book by Neil McKenna about “Two Young Men Who Shocked Victorian England“ entitled Fanny & Stella. 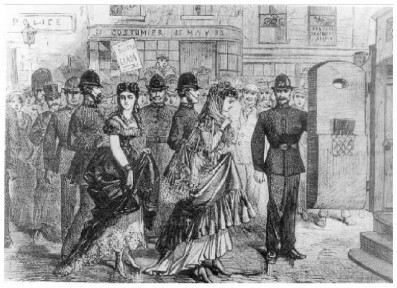 It tells the very theatrical story of female impersonators Frederick Park and Ernst Boulton who were arrested at the Strand Theatre in London on Thursday 28 April 1870 as a pair of “Funny He-She Ladies.” The charge: Disguising themselves as women, frequenting places of public resort in drag, openly and scandalously outraging public decency and corrupting public morals. Now, anyone who knows his or her operetta history will be well aware that the operettas of the time, as well as the successful burlesques of the era, were full of cross-dressing roles. 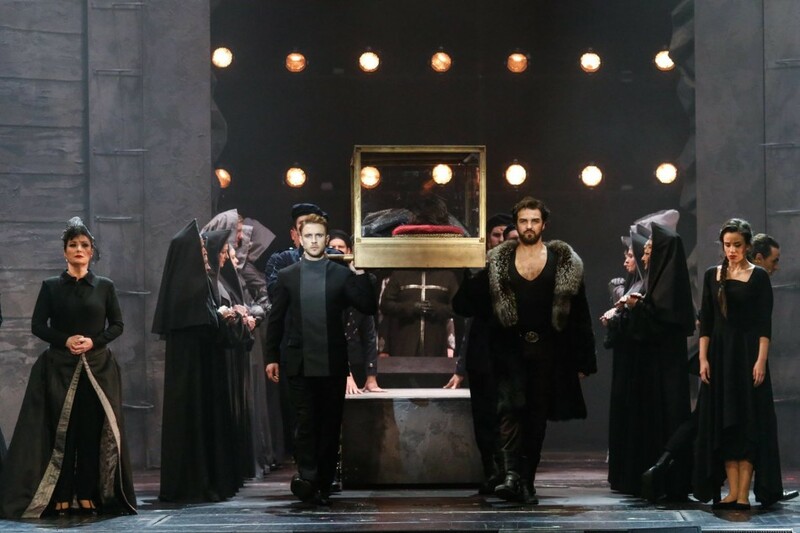 Men as women inhabit many Offenbach operettas; women as men are a regular sight in nearly any 19th century operetta from Paris, Vienna, Berlin or Budapest – or London, for that matter, not to mention New York. The two ladies in question here, Fanny and Stella, also appeared in various burlesques, and they sang operetta arias in concerts throughout England. So, from an operetta point of view, this book by Neil McKenna should be hugely fascinating. It certainly takes you right into the London theatre world of the 1870s from the first page. You get a description of the Strand Theatre and what it was famous for, namely three things: the quality of the air*, its burlesque productions and its reputation as a place of successful sexual assignations. In other words, it’s the world of original operetta, through and through, as can also be read about in Emile Zola’s Nana (1880) or any number of contemporary newspaper reports. What follows, in McKenna’s book, is a truly remarkable tale of social history and the way we used to deal with sexual minorities, “sodomites” in this case. McKenna had access to the Metropolitan Police Archive in London and the British Newspaper Library, among other sources, so he can base many details of the story on eye-witness accounts. 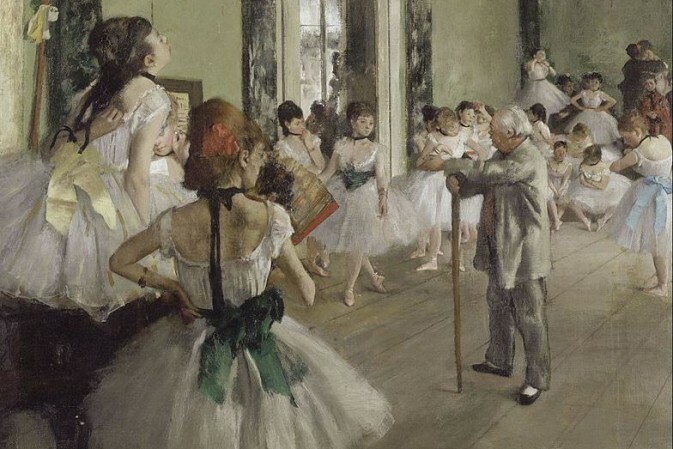 But he, sadly, does not use all the material available to sketch a profound historic panorama, that includes, in many instances, the theatrical world of the time. Instead, you get endless repetitions and sentences that appear consciously stretched to make the book thicker. So apart from a few burlesques mentioned here and there, and the occasional operetta, there isn’t really much in-depth operetta history. There isn’t even any interesting history of cross-dressing on offer, which is astonishing given that Fanny and Stella were the most notorious cross-dressers of their time. Lady Stella and Miss Fanny being escorted to the dock in 1870. Still, McKenna points the way were other researchers might find material worth including in future operetta histories. A detailed account of the theatres offering operetta in the 1860s and onwards, in combination with an account of air quality, burlesque and sexual assignations, would lend more depth and insight to our modern understanding of the genre, a genre that once caused moral outrage. Also, the history of “The Funny He-She Ladies” on the stage itself (“The gents at them would take a peep, And say they are Duchesses at least, Lor! What a fascinating pair, Especially she with the curly hair”) is one in desperate need to be written, with regard to London – but also any other operetta center in the world where such things were going on and luring in audiences, sodomites amongst them. Cross-dressing in British theatre goes back to the time of Shakespeare when it was illegal for women to appear on the stage! Charles II ‘legalised’ women actors and later you had ‘breeches roles’ in plays and operas,and ‘pantomime dames and principal boys all using cross-dressing. By the tone of your review, the author could do with undertaking a bit more research? ?